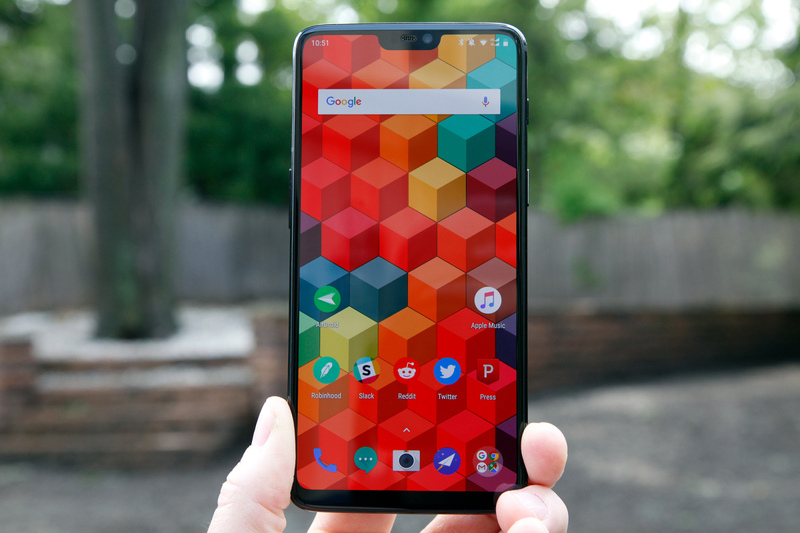 The OnePlus 6 is another iteration of One Plus’ lineup of “flagship killers” released quite often. It sports the latest Qualcomm processor and features the most polished design the company has ever released. The OP6 is built with an all-glass design bringing it in line with it’s latest rivals; the Galaxy S9 and the iPhone X. The phone has a large 6.28 inch display complete with the trending “notch” at the top of the display for the selfie camera. Lets see how it stacks up to it’s peers. This is Oneplus’ Largest smartphone display ever produced in the companies history. The Super AMOLED Full Optic panel measures a big 6.28-inches which is noticeably larger than the OnePlus 5T’s 6.1 inch. The display is vibrant and sharp with detail with what ever you view. The Oneplus 6 also continues the company’s push for a now-popular 19:9 aspect ratio as well. 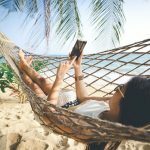 This effectively creates a tall display that offers more screen real estate while scrolling up and down pages and social media apps. The display (despite being physically larger) is still a Full HD display with a new resolution of 2280 x 1080. This ensures a 402 ppi (pixels per inch) density which ensures crisp and sharp viewing experience. Let’s not put down the company here too much. Yes all other manufacturers are pumping out vibrant QHD displays by now but Oneplus has clearly chosen to cut down on costs here as it isn’t truly necessary. Full HD is plenty sharp and also provides a better battery life potential. The one place the display fails to measure up is when you place it alongside the Samsung Galaxy S9. With such a direct comparison it is clear that the display is not as vibrant. The Oneplus 6 does not support HDR in display either so that further knocks it down a few notches. However, let us remember the much lower price tag it offers alongside a host of other high end specs. The reduction in bezel shows that the Oneplus 6 now provides an 84% screen-to-body ratio which will please fans who are getting used to the trend of bezel-less phones. This does come with a cost, however, the notch. While it isn’t as present as the iPhone X’s notch is it is still there. It is larger than the essential phones notch. 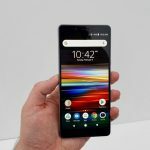 One plus did comment on this stating that they weren’t saying “me too” in the market but had to consider all factors and decided on technology that exists and has been proven to work the best. The notch houses important components such as the front facing camera, earpiece, LED notification light and ambient light sensor. 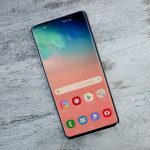 The company did include a setting that enables either side of the notch to become a black status bar instead if you are not a fan. The choice is yours. The Oneplus 6 feels different in the hands compared to its predecessors. The new design features a glass front and back compared to a full all-metal unibody. The phone now features Corning Gorilla Glass 5 on the front and back. The company did state that the materials used in the glass ensures a stronger build which hopefully does not break easily. We will see. The good news is that Oneplus will also include a silicon cover case in the box if you feel like your phone needs added protection and an added grip. OnePlus does claim that their latest flagship phone has improved water resistance but it does not carry the official IP rating that guarantees survival in water. 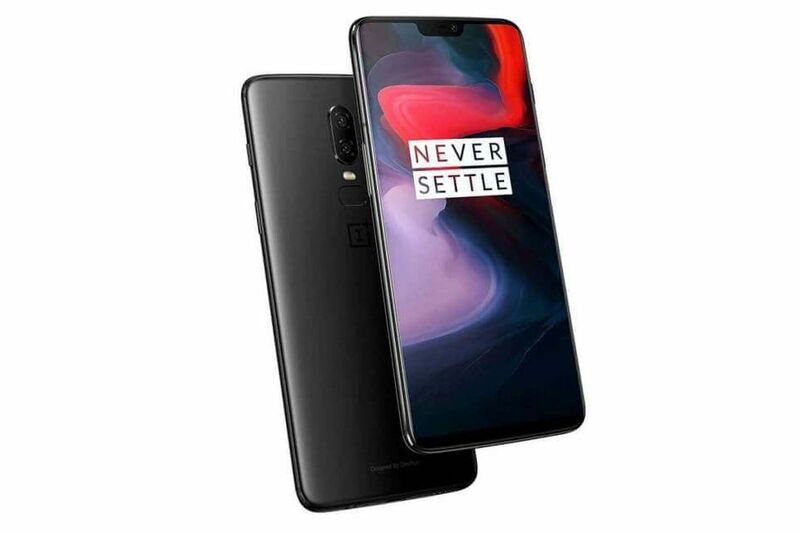 The company states that they designed the OnePlus 6 to be safe against sudden rain showers and accidentally dropping phones into the water but also quickly taking it. Be careful still. 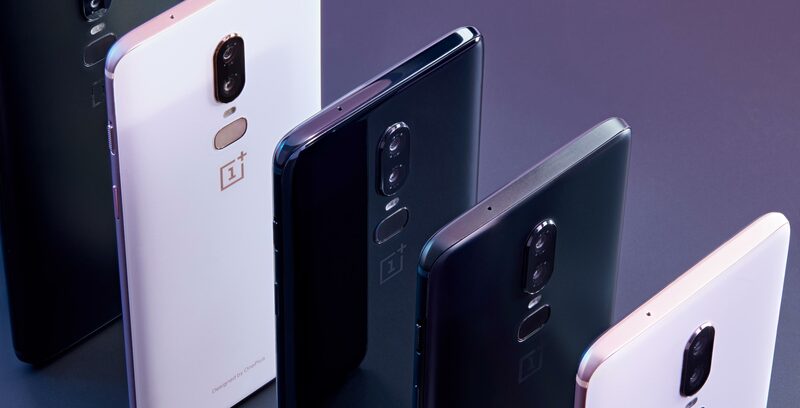 The OnePlus 6 is pretty much the same size as the last flagship the OnePlus 5T. Yet it is slightly thicker and wider and not as tall, this is impressive as the OnePlus 6 has the bigger display. At 177g the OnePlus 6 is heavier as well but not enough to wear you down at all. The POWER key sits in a convenient location on the right side of the phone while the popular alert switch sits above it. The SIM tray follows its tradition of supporting either two nanoSIM cards. The rear of the phone reveals the fingerprint scanner and a protruding dual camera module. The finger print is no longer circular but now oval. The Fingerprint scanner can unlock your phone in 0.2 seconds. There is a face detect biometric scanning system available and the cool thing about it is that you don’t have to be looking directly at it. Even in low light circumstances the face unlock system can still see your face. The One Plus 6 also keeps the headphone jack! Yes, rejoice. This allows you to plug in your favorite 3.5mm headphone jack without worrying about carrying around an extra adapter. With a 3,300 mAh battery pack and also equipped with Dash Charge you won’t have to worry about battery life. 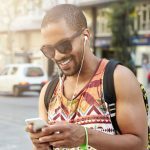 It easily lasts you a whole day on a single charge and the Dash Charge (One Plus’ solution to Fast Charging) gives you 60% battery life in 30 minutes. The company did state that they made the One Plus 6 about 10% more efficient than it’s predecessor. With moderate usage it lasts easily a day of use. A few hours of music streaming, about an hour of gaming, and a lot of social media pleasantries. The OnePlus does include a battery saver mode that basically reduces background activity and lowers screen brightness if you are in a pinch. 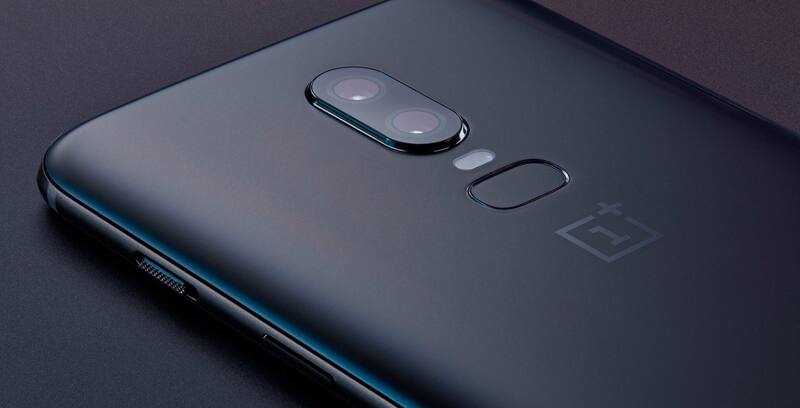 The OnePlus 6 now features a dual rear camera. This consists of a 16 MP and a 20 MP camera in this setup. Both have an aperture rating of f/1.7. The 16 MP sensor features OIS (optical image stabilization) and EIS (electronic image stabilization) and also has a larger sensor by 19% which enables better light gathering capabilities. The selfie camera is also a 16 MP sensor able to shoot portrait mode photos of yourself via software rendering. The main cameras in portrait mode uses depth sensors but the selfie camera will be using advanced software algorithms to determine what gets blurred out. The cameras fire up quickly and operate fast and silent. Even the low light shots produce crisp clear photos. A new feature found in the One Plus 6 is the slow-motion video recording. It can capture up to 480fps 720p. The One Plus 6 features the new snapdragon 845 processor with either the 6 GB RAM or 8 GB RAM module installed (depending on the internal storage size you choose). The new snapdragon processor is speedy and an improvement over the 835 found last year. There is an improvement of about 30% in performance from the GPU Adreno 630 while it is also able to draw 30% less power. 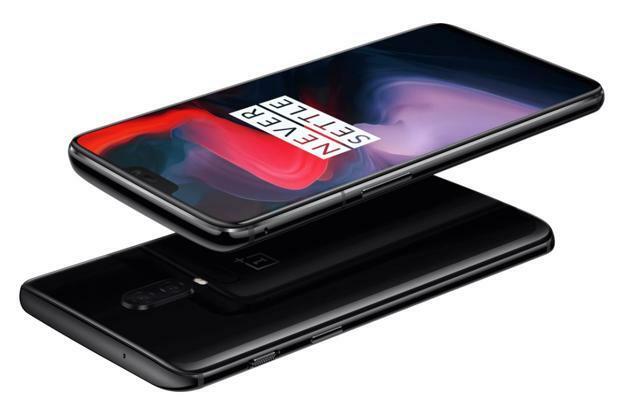 The OnePlus 6 is promised to work as brand new well within a years time after taking it out of the box. No slowing down or getting sluggish. Another thing that has not changed is the exclusion of an expandable storage space. So no microSD support here or into the foreseeable future. Basically the OnePlus 6 is blazing fast, we’ve reached a point of diminishing returns and each new flagship cpu feels like that of the past. It is very fast. On board is the Android 8.1 Oreo platform skinned with a very stock-like Oxygen OS on top.